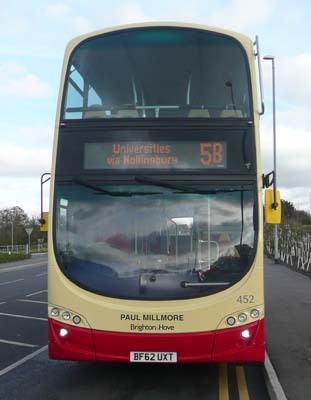 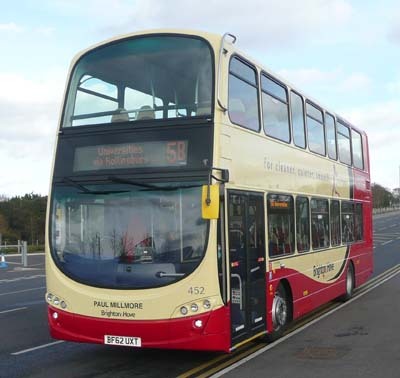 452 Volvo Gemini - carried name since delivery in September 2012. 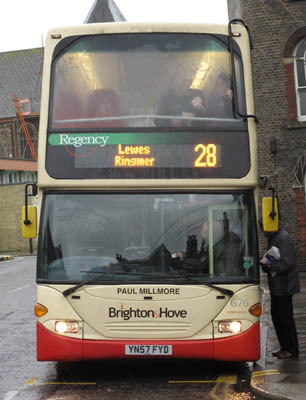 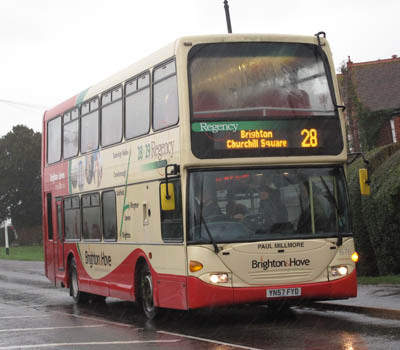 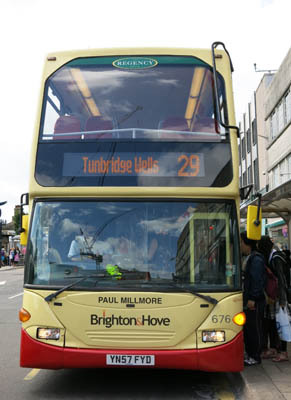 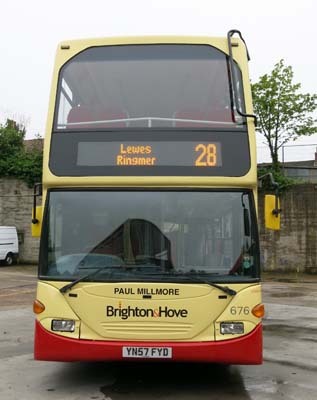 Name moved to Scania Omnidekka 676 on Regency 29 in February 2014. 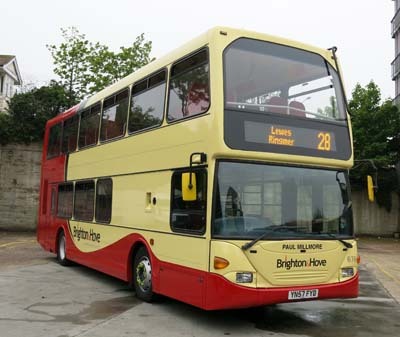 Repainted into standard livery in May 2014. 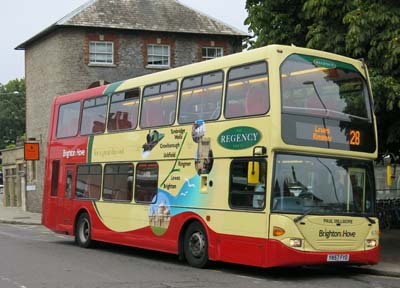 Regency branding added August 2014.